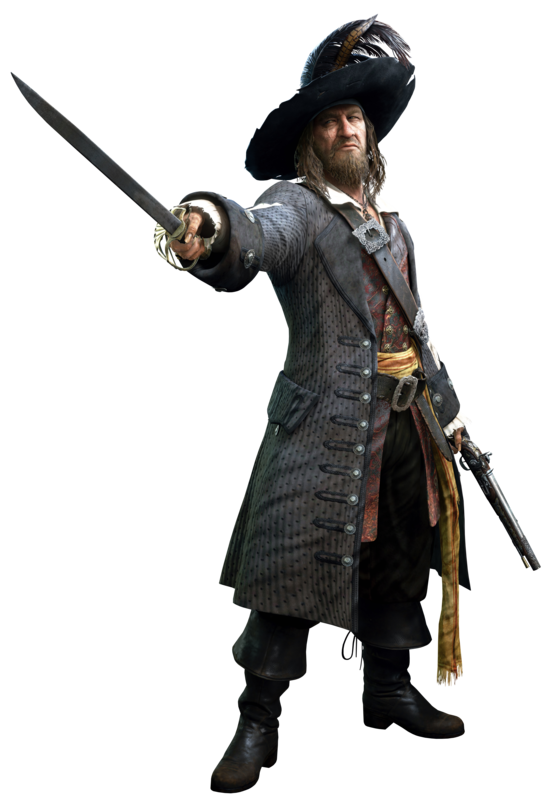 Captain Barbossa has spent years trying to free himself from the Aztec curse, a spell which reduces him to the undead, unable to enjoy the pleasurable elements in life as he is caught between life and death. This curse is symbolic of his endless greed, which consumed him when he held a mutiny against Jack and took the Black Pearl as his own, and again when he stole the Aztec treasure. He has spent 10 years collecting all the scattered pieces of the gold, and needs Will's blood (although he mistakens it to be Elizabeth's) to rescue himself from damnation. To this end, Barbossa accepts the help of Pete and uses the Heartless to his advantage. When locked in a final confrontation with Jack, Barbossa is killed by a single bullet followed by the release of the curse, making the wound fatal. Former Captain of the Black Pearl. Hector Barbossa was Captain Jack Sparrow's first mate on the Black Pearl, however a mutiny lead by Barbossa lead to Jack being stranded on a uncharted island and the captaincy of the ship went to Barbossa. After pillaging the treasure of Isla de Muerta and spending the 882 pieces of Aztec gold, they realise they have been cursed to live as the undead. The crew then turn their goal towards retrieving the Aztec gold and becoming mortal once more. One piece of the gold was given to Will Turner by his father, Bootstrap Bill, and thus the pirates were unable to find the last piece of the gold. That is, until Elizabeth Swann falls into the ocean with the gold around her neck, alerting the pirates to the location of the Aztec gold. Barbossa works with Pete, Maleficent's second-in-command, to kidnap Elizabeth Swann, who Barbossa believes is the daughter of Bootstrap Bill Turner. Will Turner teams up with Captain Jack Sparrow, who found his way off the island, as well as Sora, Donald, and Goofy. Sora and Jack follow Barbossa to Isla de Muerta, where Barbossa learns that Elizabeth is does not have Turner blood running through her veins. Will rushes forth and a battle breaks out between Sora and Barbossa. Pete lends a Heartless to help Barbossa, if the cave is dark then Barbossa is not able to be injured. However, Sora is able to defeat the Heartless and bring light to the cave, making Barbossa vulnerable to attacks. With the last of the Aztec gold returned, and the blood of Will Turner with it, Barbossa and the Black Pearl crew are turned mortal once more. Jack then proceeds to shoot Barbossa, who dies in the cavern. 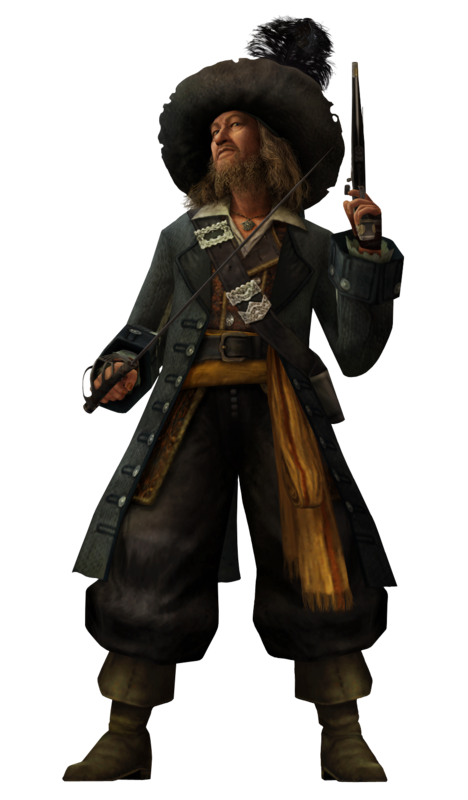 Hector Barbossa is revived later on by Tia Dalma, and he joins Will, Elizabeth, Gibbs, and Dalma herself in a daring rescue to bring Jack Sparrow out of Davy Jones' Locker.